It is such a beautiful park, and seeing how mistreated it was by people in my community, it really reignited my desire to see it revitalized. No matter where you live, there are always opportunities to give in your community. You can literally get your hands dirty bettering the area around you and at the same time, get to know people in your community. 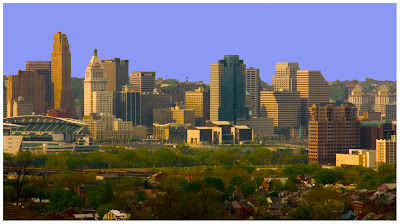 In Cincinnati there are endless organizations that cater to different needs so there's no reason to not find something that appeals to you! The Downtown Residents Council is seeking volunteers to assist with programs at the Children's Learning Center at the Main Public Library. The Summer Arts programs are for kids ages 6-12. Please consider participating on one or more Wednesday evenings this month. Arrive at the Children's Learning Center at 800 Vine Street at 6:45 p.m. for about 90 minutes. For more information, contact Carolyn Janssen at (513) 369-6922.